Even after seven seasons, this show is like nothing else on TV. And production gods willing (the Old and the New), the spinoff (or spinoffs) will be too. There is only one marketing blitz that matters, and it is here. 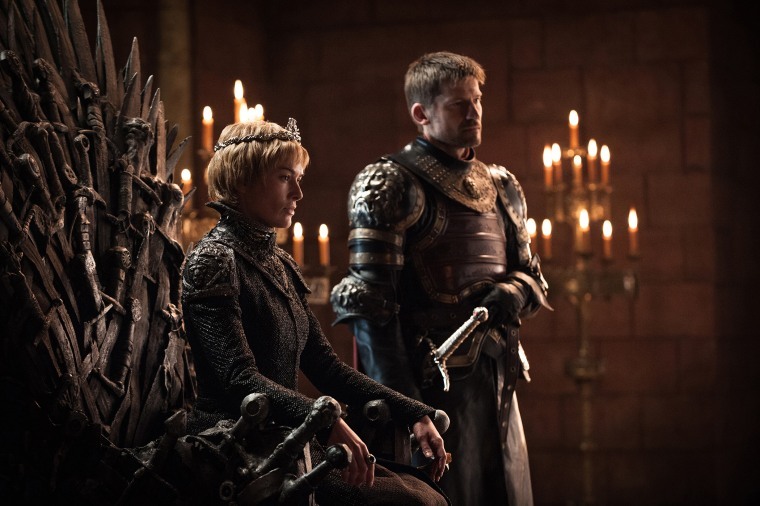 “Game of Thrones” season eight news has dominated the entertainment industry this month, sparked by a behind-the-scenes look at the making of TV’s most expensive show ever in history. HBO has also started dropping hints about the upcoming and still-untitled spinoff series, including casting announcements, and hints of more prequels potentially in the pipeline. But remarkably, HBO remains committed to keeping “Game of Thrones” and its offshoots on the small screen even as similar hits are moving to movie-style lengths and budgets, if not the movie houses themselves. Adapting the best of so-called prestige TV for the big screen is a big trend in the current market. Only a couple of days after “Game of Thrones” kicked off its marketing for the final season, AMC’s “The Walking Dead” — long considered a rival — revealed that main character Rick Grimes (played by Andrew Lincoln) was being written out of the show after nine seasons so he could star in a planned “Walking Dead” trio of films. This trilogy will air on AMC, however, keeping eyeballs at home where the network believes they belong while still offering the look and feel of a blockbuster. Remarkably, HBO remains committed to keeping “Game of Thrones” and its offshoots on the small screen even as similar hits are moving to movie-style lengths and budgets. Literally the day after AMC's statement, HBO announced the movie spinoff for “Deadwood” — the critically acclaimed show that ran from 2004 to 2006 — had begun production. Two days later, AMC confirmed it was also beginning production on the “Breaking Bad” movie, a direct sequel of the show that ended in 2014. Meanwhile PBS staples like “Downton Abbey” and “Miss Fisher's Murder Mysteries” have feature films coming out in 2019. Meanwhile, Netflix and Amazon are blurring entertainment lines with projects like “The Ballad of Buster Scruggs” — which dropped on Netflix on November 16, after debuting in theaters on November 8. "Buster Scruggs" was originally pitched as a TV series but was later redone and re-budgeted as a movie because it was deemed "too big" for the small screen. HBO had its own “Buster Scruggs” opportunity with “Game of Thrones.” Rumors floated around for years that the series would ultimately end with a movie adaptation. At the time, the idea was mostly attributed to author George R.R. Martin and not taken very seriously. But buried in the flurry of season eight hype this month was a story from Entertainment Weekly revealing that this idea had indeed been considered by showrunners as early as season three. According to Entertainment Weekly, HBO was so pleased with the ratings from season two that it was ready to greenlit the series through season seven, or the end of Martin's books. But the showrunners had big plans for the series' conclusion — even bigger than what they'd originally sold to HBO. It was the ultimate "six seasons and a movie," or in this case a trilogy of movies. In order to realize their vision, the producers assumed they would need to secure a movie-sized budget and team. That plan came crashing down, however, when HBO said no. According to the EW report, the idea of moving the show to the cineplex didn’t jive with the channel's subscription-based business plan. Plus, the idea that TV and movies might be interchangeable had not yet taken hold. Remember, in 2012 Netflix was still mostly just a way to rent movies (through the mail) and Amazon was a place that used to sell books but now also sold household items. Instead, HBO’s executives told the showrunners they would have to grow the production, year by year, into a TV series big enough to support a summer blockbuster ending — and prove it was worthy of one. And from the looks of it, HBO hopes to continue this trend. The “Game of Thrones” prequel is itself unusual — there was no similar continuation for “Oz.” There was no “Meadow's Family” that came along after “The Sopranos.” “Rome” was not followed by “Gaul” (in three parts or otherwise). But with this epic story, HBO aims to prove TV can step up and compete with blockbusters without actually becoming them. That’s why the prequel is such a high stakes gamble: It needs to prove that the first "Game of Thrones" series was not a fluke, and that other TV shows, when grown properly, can follow on this heretofore untrod path. “Game of Thrones” is like nothing else on television, and production gods (old and new) willing, the prequel will be too.